Ready-Made pages: “where to buy”, “about us” etc. With lots of features, CleanSkin is fully compatible with the latest version of WooCommerce to allow you create online healthcare products shop. The theme has an intuitive visual interface and informative layout that looks wonderful on any platform since it’s fully responsive and Retina ready. 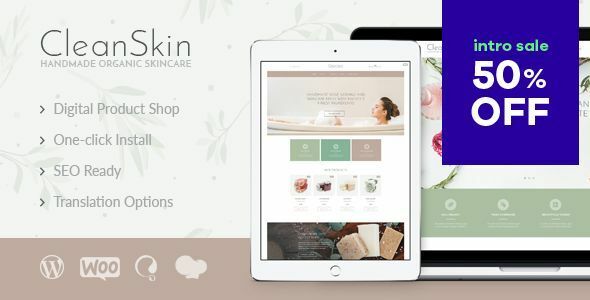 CleanSkin is compatible with a bundle of premium plugins: WooCommerce, Revolution Slider, Essential Grid, WPBakery Page Builder for making your crafts shop comfortable for your customers.